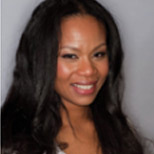 Daughter of an African American father and a Chinese mother, Antonette Yolanda Drayton grew up in Hong Kong, where she attended Chinese schools before moving to the United States in 1997. While in Hong Kong, she was given the Chinese name Kayee Law (羅加怡). Antonette earned a bachelor’s degree in advertising from San Jose State University, and resides in California with her husband and two sons.